Our experienced testers extensively analyze and evaluate all types of sleeping pads in a variety of environments and situations to decide which are the best. Different kinds include foam sleeping pads, ultralight inflatable sleeping pads, insulated inflatable sleeping pads, and self-inflating sleeping pads. We divided our sleeping pad reviews into lightweight sleeping pads, which include inflatable ultralight sleeping pads better suited for trekkers conscious of every ounce, and insulated sleeping pads, for backpackers that need the extra warmth or are outside during the winter months. 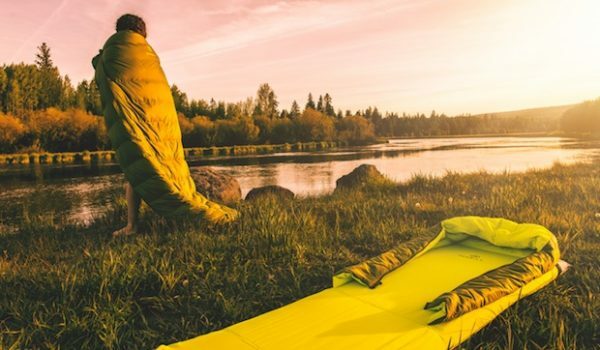 Other pads on the market include closed-cell foam sleeping pads, which can’t get punctured and are cheaper than air pads, self-inflating pads, and standard car camping air pads. 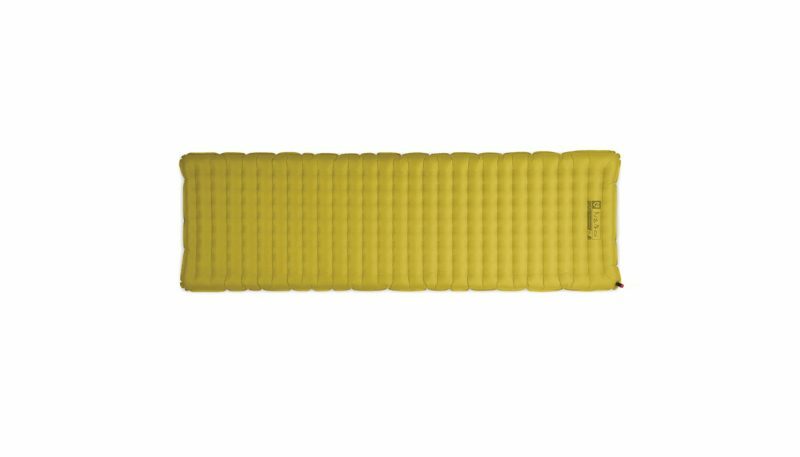 The Therm-a-Rest NeoAir Xlite is hands down the best lightweight sleeping pad on the market. It hits every metric that we ask of a sleeping pad: it is small, lightweight, and warm, with the highest warmth-to-weight ratio of any pad we have tried. It is also comfortable and surprisingly durable for an inflatable sleeping mat. The only real downside to this pad is the high cost. 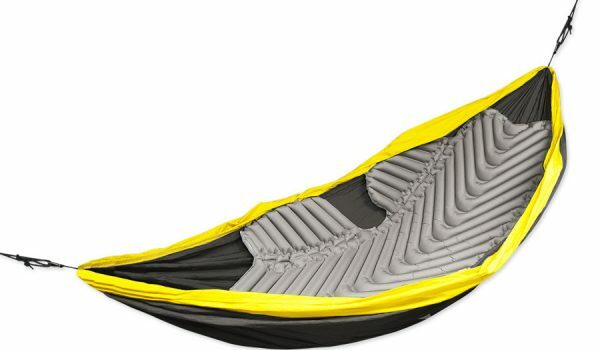 This is the sleeping pad you should own for lightweight backpacking. For a cushy, lightweight sleeping pad, the Nemo Tensor Ultralight Sleeping Pad is one of the best. 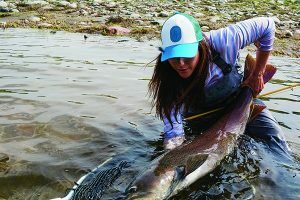 It is a full three-inches thick, which is thicker than the NeoAir XLite, and weighs just over 13 ounces—a competitive-by-comparison weight. 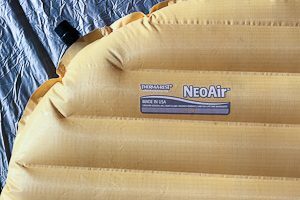 The biggest competitor to the Nemo Tensor is the NeoAir Xlite, which is warmer and slightly lower weight, but the Tensor is $50 less expensive. We don’t think you sacrifice much by choosing the Tensor over the XLite. 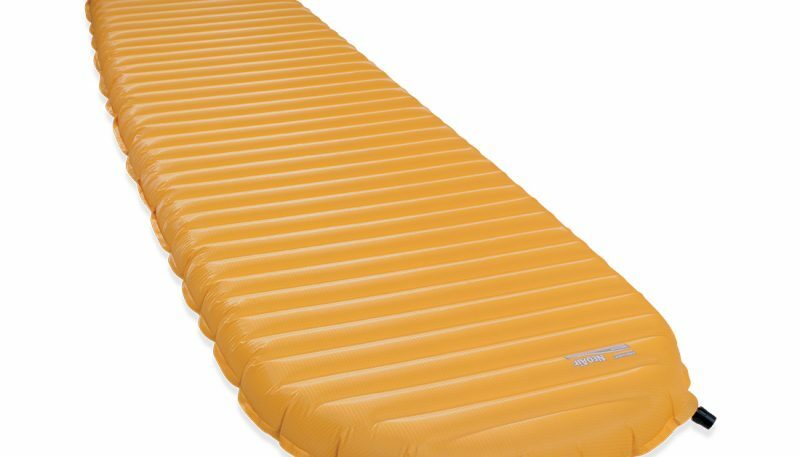 Instead, our conclusion is that this is one of the best lightweight inflatable sleeping pads you can buy. The Therm-a-rest Z Lite is an inexpensive closed-cell foam sleeping pad that is warm for its weight. It is practically indestructible, easy to use, and lightweight, making it the perfect pad for those concerned with weight and durability (like long distance hikers) but not as concerned with comfort or packability. It only costs $45 for a size Regular and it will last forever, so this pad provides the most for your money. We think it is the best buy for those on a budget. A sleeping pad is going to make your time spent dozing outside much more comfortable, and it can keep you warmer, too. But with so many options available, choosing the right one for you and your adventures can be difficult. Backpackers have to consider weight and warmth, while car campers should look at convenience and comfort. Pads also vary by shape, weight, insulation, materials and construction. 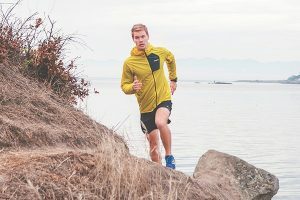 Ask yourself if you favor convenience and features, or if you’d prefer something extremely lightweight that packs down small which maybe isn’t quite as comfortable. We have divided the selection process into five steps. After you’ve read through the steps, move on to the sleeping pad reviews that compare specific models side-by-side to choose the best sleeping pad for you. Your gear needs differ drastically if you are a car camper or if you mostly do long backpacking treks in the wilderness. Or perhaps you partake in both kinds of adventure and need a sleeping pad that is versatile. 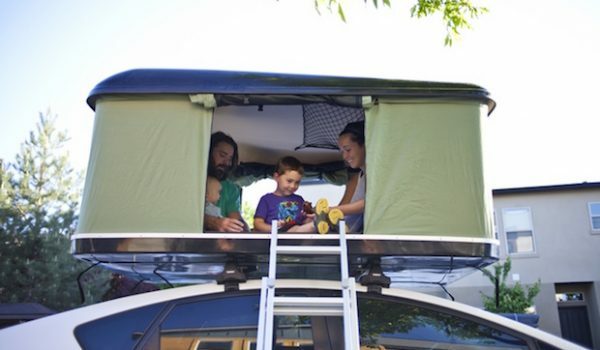 Car campers can prioritize comfort over weight and packability with self-inflating pads or extra thick sleeping pads, since they won’t be carrying anything on their back. 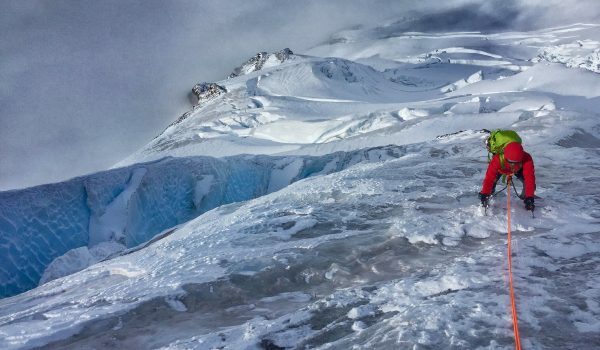 Trekkers will want to look into specific weight and packability size of a sleeping pad, as any extra ounces or space taken up can be a hindrance. If most of your outings are in winter months, choose a sleeping pad that has an R-value rating of five or higher for added insulation and warmth. If most of your nights camping are right by your car, then opt for a sleeping pad that is thick, comfortable, and self-inflating, since carrying bulky weight isn’t something you have to worry about. You can choose larger, wider and full-shaped pads that basically make you feel like you are sleeping on a regular mattress. Self-inflating pads will be more expensive, whereas thick air pads will be more cost effective. When every ounce counts, choose a lightweight pad that is still going to provide the necessary comfort and warmth for your expedition. Lightweight air pads won’t weigh you down, they pack up small, and provide adequate comfort for a few nights on the trail. Ultra-light air pads will be even lighter with some models having cutouts in the frame to pare down ounces and provide cushion only where your body really needs it. 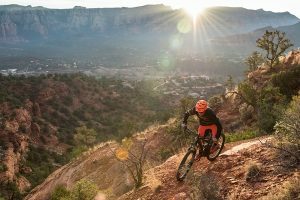 Closed-cell foam pads are not as comfortable as air pads (most are less than an inch thick), but are extremely durable (they can’t pop) so you won’t have to worry about repairs on the trail. For any trip where you have to carry your pack and pad to your campsite, you’ll have to consider what factor is most important to you: weight and packing size, or warmth and comfort. If you are camping in cold temperatures or on snow, a regular sleeping pad might not cut it. Invest in an insulated sleeping pad that will keep your body warm even on the cold snow or ground. Sleeping pads use an R-value to rate their warmth: the higher the R-value, the better insulated the pad. The R-value is a measurement of how well the pad resists (hence the R) heat transfer (from your body to the ground). R-values are provided by the manufacturer. Some choose to use a third party to provide the R-value, some determine it on their own. There is no standard in the industry to verify claimed R-value. Also consider a self-inflating sleeping bag where the added moisture of your breath won’t freeze on the inside of the pad after blowing it up. Are you usually a warm sleeper? Do you toss and turn? Sleep on your side or your back? You probably won’t sleep as soundly on a sleeping pad compared to your bed, but you can at least try. A standard rectangular sleeping pad usually measures 72 inches long and 20 inches wide. Extra long sleeping pads are around 78 inches long and wide versions push 25 or more inches. A sleeping pad that fully fits your body should be wide enough to support your shoulders and hips, and long enough so that your feet don’t hang off the end and stay insulated in colder months. Shorter pads are available if you are looking to save weight and packing space. These pads are around 47 inches long. Some people use their empty backpack under their feet and calves to buffer from the ground when using shorter pads. Wider pads are best for restless sleepers, as are pads that have a textured surface that help keep your sleeping bag from sliding around too much. Some brands like Eureka cater to this specifically, which have a slip-free soft cover that slides securely onto a square sleeping pad. 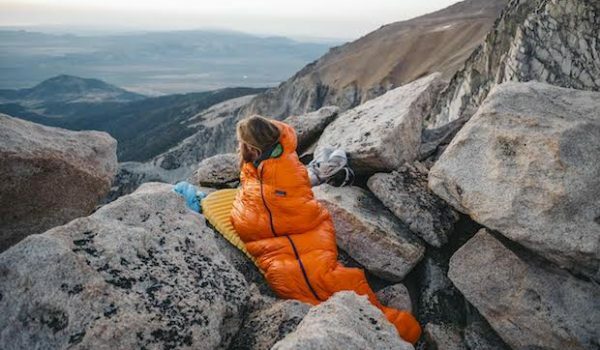 Other brands like Big Agnes, Nemo, and Therm-a-Rest build full sleep systems where the sleeping bag has a sleeve or straps to hold the bag to the pad to prevent sliding or rolling off of the pad. Many pads made for backpacking use a tapered or mummy shape to save on weight and space. These pads get narrower past the midsection all the way to the foot of the pad. If you are car camping, a regular square-shaped pad will be nice with a larger surface area, but choose a tapered cut if you are saving on space and/or weight. 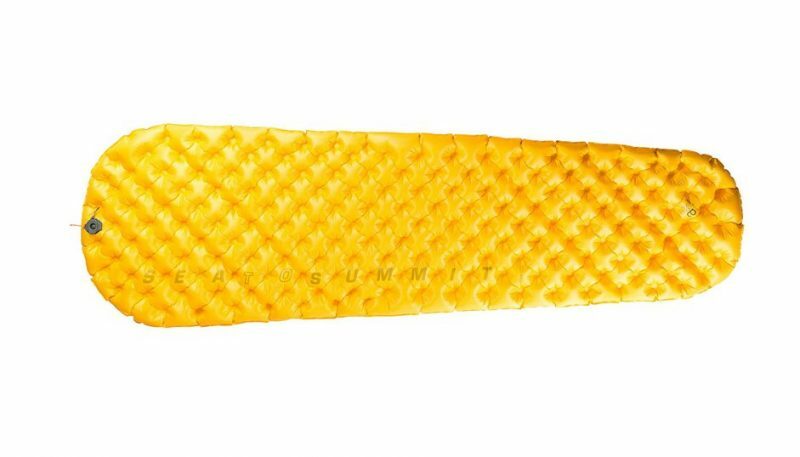 If you are truly counting ounces, opt for a sleeping pad that has cutouts, like the X-frame pads made by Klymit. These pads are super thin (1.5 inches), super lightweight (9.1 ounces), and still offer some comfort and insulation. 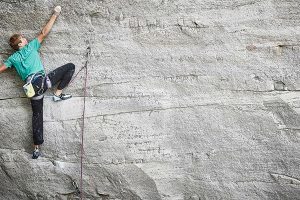 Although at first glance the X-frame seems like just the bare bones, Klymit has figured out a way for it to work. The frame does still support a sleeper around their head, shoulders and hips, but the rest has been taken out. The gaps of the sleeping pad serve a second purpose beyond just making it lighter, as they allow the loft of the bag to fill into the gaps for better insulation. If you tend to be a colder sleeper, opt for a pad that has a higher R-value and a surface area that supports your entire body. Or, double up. If you don’t want to spend a ton of money on a highly insulated sleeping pad because you’ll mostly be using it in the warmer months, buy a cheaper closed-cell foam pad. Use that next to the ground with the air pad on top for an added inch or so of lightweight insulation. Also consider how you sleep. If you sleep on your stomach or your back, more of your body is being supported and insulated by the sleeping pad rather than if you were a side sleeper. Heavier pads will be more comfortable, but usually take up more space when it comes to packing. Lighter pads offer less support, but take up less space (and can often be pricier). 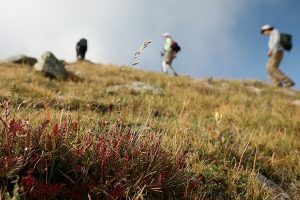 If you are backpacking, you may want to prioritize weight and packed size over comfort and support, depending on how far you are hiking each day or how you’ll tolerate a slightly less comfortable pad. Some find after hiking all day, there’s not much that will prevent them from sleeping well, so the sacrifice is minimal. You’ll still want to consider warmth, though, hinging on the climate you are trekking in. Air pads compress quite small in your pack, but closed-cell foam pads are more durable and can be attached to the outside of your pack to save internal pack space. If you are car camping, choose a pad that is thick and large, as space and weight isn’t usually an issue. The most important thing about a sleeping pad is if you can sleep comfortably on it. Beyond that, other features like self-inflating pads or included patch kits, are just extras that can offer a touch of luxury and/or convenience. Self-inflating pads are wonderful for their convenience. Simply open up the valve, let the pad sit for a few minutes, and then finish it off with just a few breaths to add firmness. These pads often use stronger, more durable materials, and can be on the heavier end. Their surface is usually flat (no baffles) and slightly dimpled to avoid too much slipping under your bag. If you are opting for an air construction pad, meaning the interior of the pad will mostly be air (as opposed to the foam used for self-inflating pads), know that most pads can take between 30 seconds and two minutes to inflate. A few brands do sell sleeping pads that come with a built-in hand pump or a bag-style hand pump, while others use an extra wide valve to help fill up a pad in just a few breaths. Some models might slowly leak air during the night and can often be noisy or crinkly as you move around. These are the details our tests help bring to your attention. 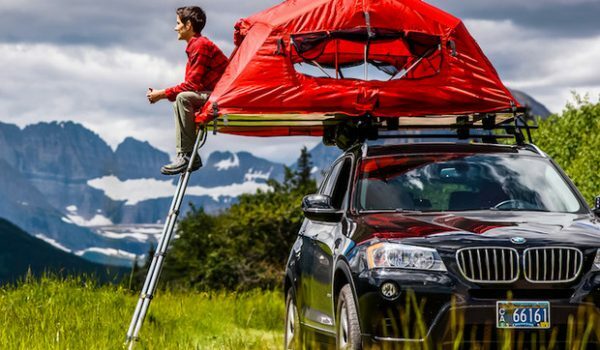 Car campers have the luxury of bringing an electric pump to inflate the pad for them. Just as baffling and shape differ by each pad and company, so do valves. A common valve is the twist and pull valve. These are easy to use and tighten, though you do have to figure out a technique to not let air flow out as you are taking a breath in because the valve doesn’t have any way to block airflow out. Twist and pull valves stick out of the pad, where flat valves don’t. One-way valves are able to block airflow out as you take a breath in and flat valves deflate quickly because of the larger valve space. Also, most flat valves are able to be used with a hand pump or bag-style hand pump, made from the stuff sack. 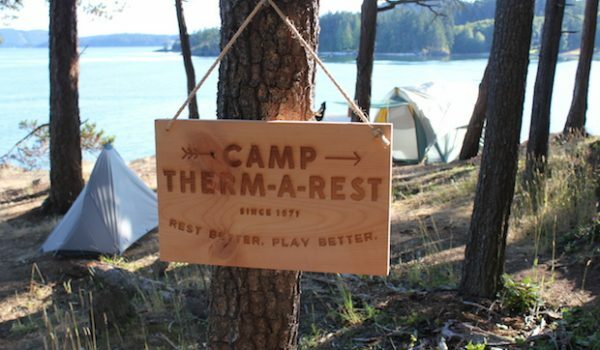 The last main option for valves is the speed valve that Therm-a-Rest uses, which consists of a very large opening at the end of the sleeping pad. Some self-inflating sleeping pads and air-construction pads use a flat or dimpled surface. If you want a pad that has baffles, there are a few different options. Horizontal baffles help sleeper distribute weight evenly; vertical baffles offer a bit more cushion and stability, but come with their own set of tradeoffs. Bags with vertical baffles can taco around the sleeper. Another baffle-pattern that is gaining attention is a quilted pattern, which aims to feel more like a mattress and offer better stability while still retaining heat. 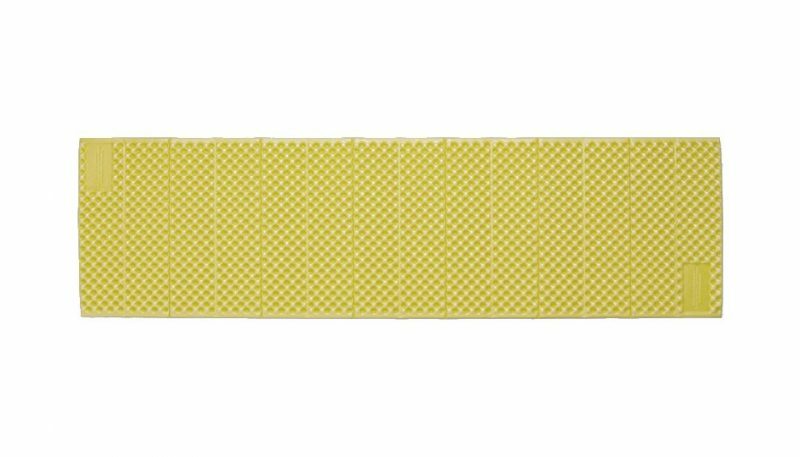 Last, some sleeping pads also have side baffles or rails on them to support sleepers from sliding off, which is great for kids. Another added design feature on sleeping pads is an integrated pillow, often with a separate valve for inflating. Or, use a separate camping pillow that will be inflatable or compressible, and can sometimes double as a sitting spot. Unless you are using a closed-cell foam pad, you have to watch out for punctures. Ideally, an air pad should be made from a thick and durable material to resist holes and leaks. 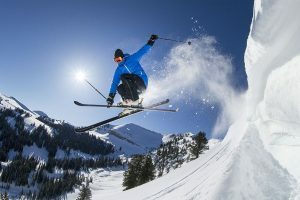 Options include ripstop polyesters or nylons that are rated in denier, which measures how thick and durable a fabric is – the higher the denier rating, the thicker, heavier and more durable it will be. In general, 30- or 40-denier ripstop nylon or polyester will provide protection from punctures but still stay on the lighter side of pads; anything below 20D will be more fragile, and anything above 50D is tough. Overall though, nylon is stronger than polyester, so you can find a nylon pad with the same denier rating as a polyester one, but the nylon pad will be lighter. Polyester though, is naturally resistant to wear from UV, while nylon will break down over time. Nylon is also more prone to absorbing moisture in the air, so opt for a polyester pad if you are often camping in wet climates. 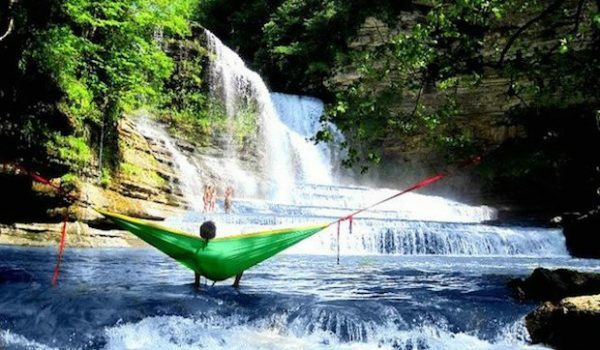 Spending the night in a hammock is an amazing experience, and as more and more campers are opting for this set-up, gear companies have had to keep up to offer the most comfortable situation, which is where the hammock-specific sleeping pad comes in. 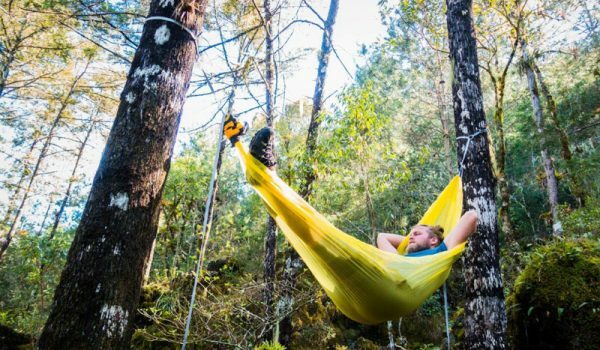 These sleeping pads are not square or tapered, but have wings that can form and bend to the shape of the hammock and provide insulation from the sides (like near your hips and shoulders). The downside to this shape of sleeping pad is that they are large (ranging from 3 to 4 feet for the wings) and thus heavier and less packable. 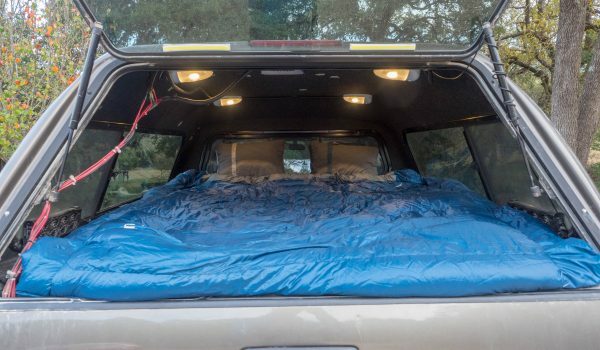 But, they also can double as your regular car camping pad, too, just in case there are no trees around. Alternatively, ENO sells a sleeping pad accessory that entails a sleeve to slip over your pad that has wings attached. If you sleep with a partner, choose a doublewide sleeping pad made for two people. Doublewide sleeping pads are constructed with a flat, even surface or with a baffle pattern that aims to lessen bouncy air movement as your partner shifts in the night. While two pads can be pushed (and even strapped) together, there’s always the risk of slipping between the two. If you tend to roll off your sleeping pad, look for a sleep system where the sleeping bag has external straps or an integrated pad sleeve to help keep you and your bag together. This minimizes your chance of rolling off the pad. 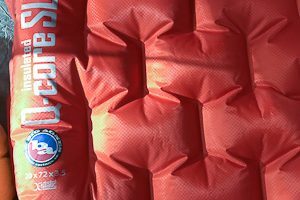 Check to see if your inflatable sleeping pad comes with a patch kit or if you’ll need to buy one separately. These are small, easy-to-use repair kits that can be taken on a backcountry trip, just in case your pad gets punctured. If you find a higher-priced sleeping pad that is made of durable material and meets a variety of your sleeping needs, then invest accordingly to get exactly what you want. For air construction pads, lighter and more packable pads will be on the higher end cost-wise, while thicker and heavier pads will be less expensive. Overall though, closed-cell foam pads will be the most cost effective. Start by determining which features are most important to you, and create a budget from there. 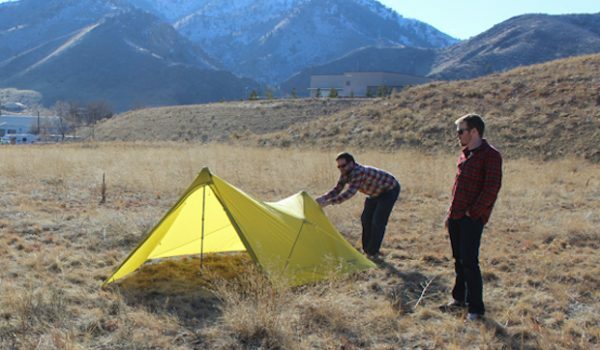 Check out our reviews where we tested and slept on every model. 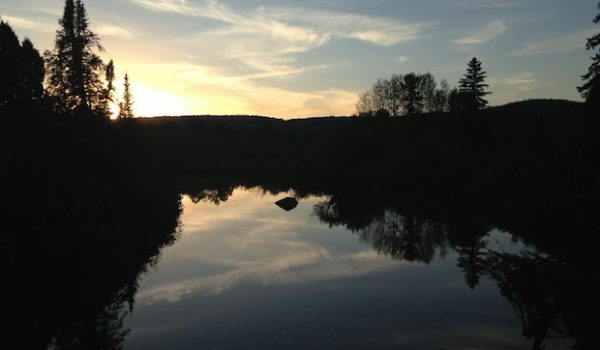 Our selection can help narrow your search and help you figure out the perfect pad for you.